Older horses still have a lot to offer a rider, but often they’re discounted as being past their prime. It’s understandable for someone to be wary of a horse whose retirement to greener pastures may not be too far in the future, but just like people, horses can be senior athletes. And there is plenty of research to back that up. 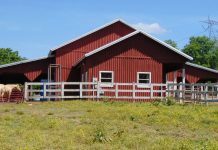 Rutgers, the State University of New Jersey, has conducted numerous exercise studies on the aging equine athlete, including the effects of training on the senior’s heart rate, maximum aerobic capacity and thermoregulation. “Many eventing and endurance horses compete into their teens, and retired racehorses have second careers that run the spectrum of activities,” says Kenneth McKeever, Ph.D., FACSM, professor of equine exercise physiology and associate director for research at the Equine Science Center at Rutgers. “Our mission at the Center is to prevent problems and to care for the equine athlete. We also use the horse as a model for research on aging and other topics related to humans. Much of our recent funding has come from the Department of Defense to screen food extracts that can reduce inflammation related to over-exercising.” These tests are done on horses to determine their possible helpful effects in humans. It’s difficult to pinpoint an exact age when a horse enters his senior years. 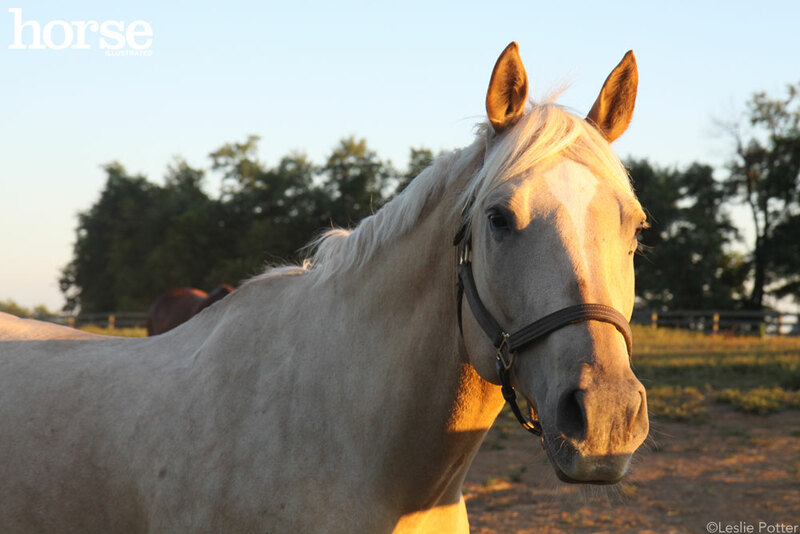 An older horse can potentially do the work of a younger horse with a little extra care, according to Travis Wright, DVM, from Hill Country Equine in Boerne, Texas. His senior American Quarter Horse gelding, Topsail Ransom, is a 2001 American Quarter Horse Association (AQHA) Top-10 World Champion in reining and a silver medalist at the Cosequin/United States Equestrian Team Reining Championship, and is still fit for reining. But what about a senior that has been retired or hasn’t done much work? McKeever says it’s fine to reintroduce a senior horse back to exercise, but it’s important to ease him into it with the same caveats of a human starting exercise. Have your horse checked by a veterinarian first to determine his limits. Perhaps he has some arthritis and needs a longer period of time to warm up. Start with some simple groundwork and see what your horse can handle. Or if he hasn’t exercised for years, try some light trail riding. It’s important not to assume that your horse is fit and jump into a strict training program. Be careful with your senior horse, and don’t ask for too much right away: A senior with a heart of gold may give you all that you ask for and more. One of the Rutgers studies found that older horses’ thermoregulation was different from that of younger horses. The older horse doesn’t have a large enough plasma volume in his blood to maintain a reserve for sweating efficiently. This means he has less fluid in his bloodstream, so the perspiration won’t cool his body down quickly enough. McKeever says the senior horse owner may have to adjust the exercise routine to accommodate this issue, such as taking more walking breaks, doing less speed work and more interval work. And on hot and/or humid days, the older horse should take a break altogether. “At least be aware that he won’t tolerate high temperatures very well,” McKeever cautions. The Rutgers studies also found that the decrease in thermoregulation happens in the late teens to early 20s. Signs of this include your horse heating up faster and his heart rate increasing faster. He will also breathe harder during work than he used to. Another important consideration is dehydration. The amount of fluid in the senior horse’s body isn’t as plentiful as that of a younger horse, so he will dehydrate faster. Therefore, it’s important to check your horse’s hydration levels during exercise. The skin pinch test may not be an accurate indication of dehydration for older horses that have less elastic skin. Instead, check the capillary refill time, inspect the gum color, and look at moisture levels in the mouth. Wright says that extra warm-up time should be given to the senior to help his joints loosen up so he can move freely without pain during exercise. 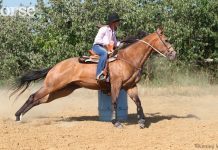 Wright says it also depends on the type of work being performed, but in general, if you keep your horse in shape and exercise him regularly, you’ll have many more productive years together than if you let him get overweight and lose muscle mass. With good care, horses can live longer and have more productive lives than they ever have. Tufts University conducted a study in New England in 2007 and discovered that out of 1,000 equines, 14 percent of them were between 20 and 29 years old. Many of those seniors were still being ridden, and 10 percent of them were still competing. There’s no doubt that equine seniors have a lot to offer, and with a little extra thought and effort, you and your partner can continue to have many successful rides together. When is it Time to Retire Your Horse? Sharon Biggs is a frequent contributor to Horse Illustrated and a dressage instructor. She is the author of Advanced English Horsemanship (BowTie Press) and In One Arena (Half Halt Press). This article originally appeared in the December 2010 issue of Horse Illustrated. Click here to subscribe. Great piece but I was sorry she did not mention Therapeutic Riding as a great way for an older horse to continue to have a useful life, be loved and get gentle exercise. Some therapeutic centers accept loans or gifts of older horses. I just leased a senior horse,,, We think he is in his mid-to late twenties, and he is perfect for me. I am a new rider, but love to ride 5-6 times a week. I need to fatten him up, and give him lots of warm up and down time after we train, but he is a real sweetheart and my best teacher. I take care of three senior horses, but not one of them know they are old(er). cool article! I agree with cathy hansen. i have an older horse, he still works, but he is slower. his name is zippo. i had to put my other horse to sleep. he was an older horse too, his name was fred. again, awesome article! What do you think about teaching a trail/parade horse that is 24 to drive? I think older horses should work and do as much as they can for as long as they can. A tired horse is a happy horse. My husband and I ride horses that are 18 and 20 years old with no problems. 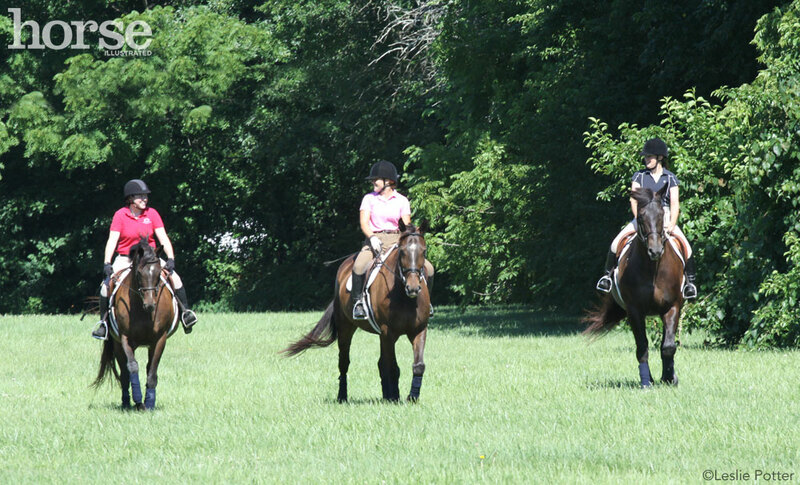 We mainly trail ride and mostly ride at a walk so they are not over stressed. Older horses are much calmer and easier to handle, especially for riders in their 60s. I found the article very informative, I have ridden and owned horses for most of my 69yrs and have recently become the proud owner of a 15yo stubborn English cob that has been in a riding school for the last 10yrs with learners. Consequently its back to square 1! its nice to know I seem to be doing the right things for him as I love him dearly even though going forward is a problem sometimes and then stopping him is another! !